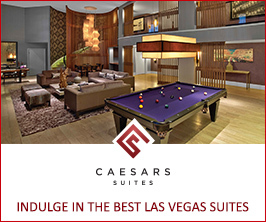 LAS VEGAS, NV (Nov. 13, 2017) – Caesars Entertainment Las Vegas Resorts received more than 30 “Best of Las Vegas” Awards voted on by the readers of the Las Vegas Review-Journal. The local Las Vegas newspaper announced the 2017 winners of the annual poll on Sunday, Nov. 12. 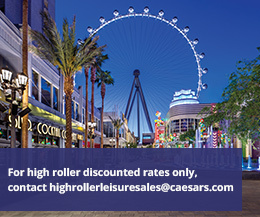 Various Caesars Entertainment offerings were also among Robin Leach’s favorites, including Qua Baths & Spa at Caesars Palace for Best Spa, ABSINTHE at Caesars Palace for Best Oddball Show, Drai’s at The Cromwell for Best Nightclub and both Caesars Palace headliner Céline Dion and Planet Hollywood Resort & Casino headliner Britney Spears for Best Show and Resident Headliner.